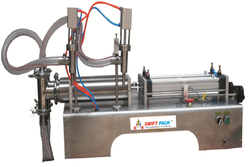 In order to satisfy the several preferences of customers, we are offering superior quality Double Head Liquid Filling Machine. 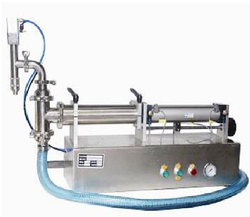 The offered machine is used for filling chemical liquids, lubricants, vegetable oil. We are an acclaimed name engaged in providing our precious clients with a superior quality range of Single Head Liquid Filling Machine. This machine is widely demanded its superior functioning and performance.